3041 Broadway @ 121st St., NYC. 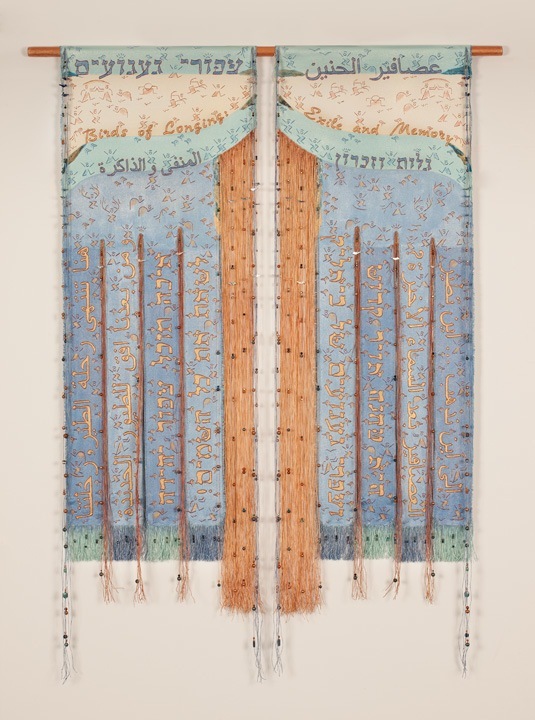 Laurie Wohl’s new project “Birds of Longing: Exile and Memory” interweaves Muslim, Jewish and Christian poetry and spiritual texts from the period of the Convivencia in Spain and from contemporary Middle Eastern poets, particularly Palestinian and Israeli. 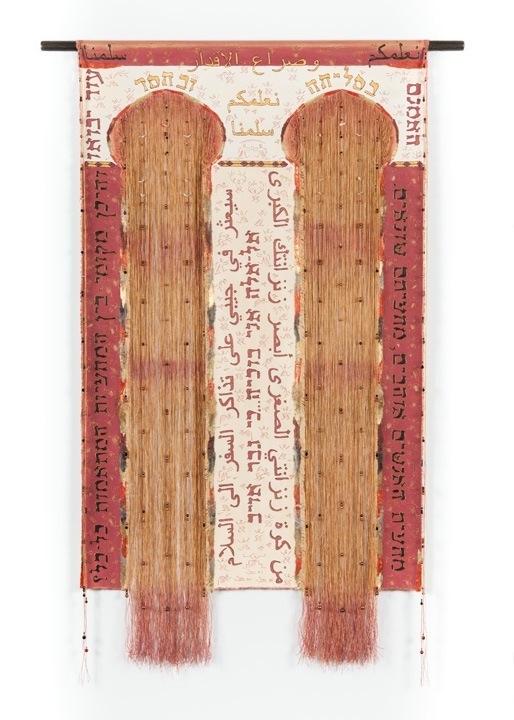 Wohl emphasizes the striking parallels between Arabic and Hebrew texts, both rich in the poetry of spiritual love, with common themes of exile, nostalgia for Andalusia, mistrust of enemies, yearning for reconciliation. A specially created soundscape accompanies her 15 new Unweavings® fiber art pieces. At the opening reception, Omega East dancers will perform a brief dance response to pieces in the exhibit, choreographed by Carla DeSola.